It’s my birthday today, so Happy Birthday to me! Just went out for cake and coffee and the waitress gave me the cake free for my birthday! So I am feeling thankful and fortunate for everything, including that. Small gestures can make a big difference. I thought my quilt called “Treasure Trove” was appropriate for today, in my series of quilts on the theme of money. These seven quilts deal with different aspects of getting and handling money. This one is meant to represent a huge lucky windfall, such as finding a huge chest full of buried treasure. I have made it using blocks of sparkling stars in different jewel colours. 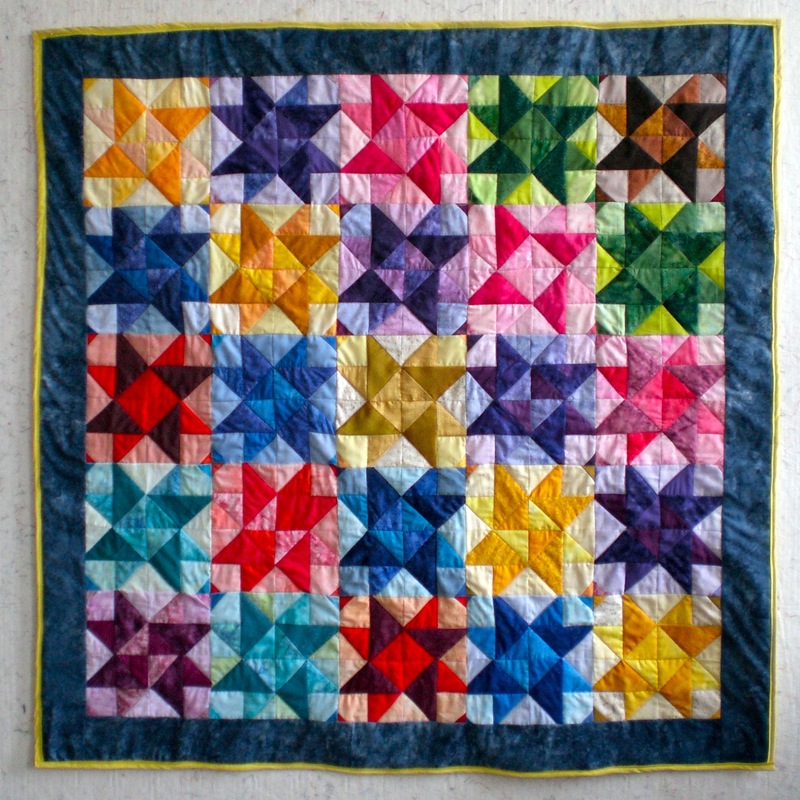 It’s a very cheerful quilt. In real life, these sorts of windfalls don’t often happen. But there are some: a redundancy package, a promotion, scratch card win, unexpected legacy, unexpected refund, a big saving made on something, etc., etc. Even a free cake with your coffee…..
Last time’s quilt dealt with the culture of greed represented in my quilt called “Bankers’ Bonuses”; this time, in “Treasure Trove” the money comes to one by luck or good fortune. Of course, as Christians, we have a huge treasure trove in God himself, and all his blessings and gifts to us. Luck has got nothing to do with it, windfalls are a gift from God. These blessings, gifts and treasure from God go largely untouched, un-opened and unrecognised, sadly. Why do we not spot them more? Use them more? Appreciate them more?